Dessie Fitzgerald's life changed on October 8, 2011 when he suffered a spinal injury during a hurling game for Charleville. 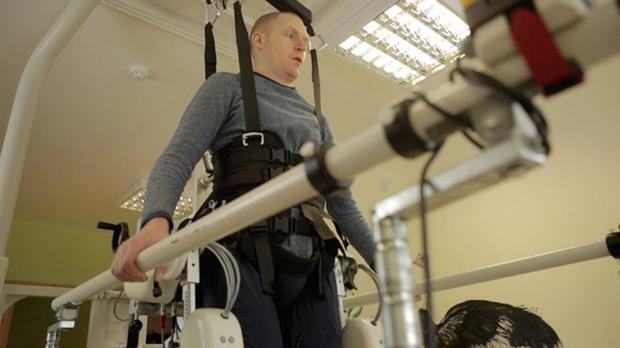 In a county semi-final against Kilbrin, Fitzgerald suffered a freak injury that left him paralysed from the shoulders down. He has spoken openly about his fight to get back on his feet on GAA.ie and the sudden death of his brother James, who collapsed and died while working out in a gym. “For weeks afterwards, I just couldn’t get my head around it and I turned into...I hated life, I hated myself, I hated whatever I set my eyes upon. I was thinking, ‘How can this possibly happen to one family?," he said. Watch him talk about how he has dealt with the traumatic events over the past four years below.